Your POWER in the marketplace comes from your brand. A powerful brand goes way beyond just a logo or graphic element. Your brand represents your commitment to the marketplace, to your clients and what they can expect from you. That is POWER! It is critical that your brand be present at all your customer touch points such as your website, your social media, and even the way your staff answers the phone. In a corporate setting, your work will represent you even if you are not in the room. Your brand is the way you are viewed and valued. What does your brand needs to do? People tend to do business with companies they are familiar with. If your branding is consistent and easy to recognize, it can help people feel more at ease to do business with you. It is critical to stand apart from the crowd. This is how loyalty is built. Your brand tells the marketplace about the kind of company/professional that you are consistently. Your brand provides motivation and direction for people. A clear brand strategy provides the clarity that your staff needs to be successful. It tells them how to act, how to win, and how to meet the organization’s goals, and it allows people to have confidence in you. People love to tell others about the brands they like. People wear brands, eat brands, listen to brands, and they’re constantly telling others about the brands they love. Your brand helps people know what to expect. A brand that is consistent and clear puts the people at ease, because they know exactly what to expect each and every time they experience your brand. It is important to remember that your brand represents you. 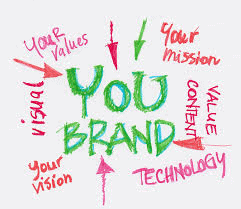 You are the brand is your promise to the marketplace. It is taught to your staff, it is always present on all your materials. It is in the quality of your work. It is everywhere. A clear brand strategy helps you stay focused on your mission and vision as an organization. Your brand can help you be tactical and will guide your marketing efforts by saving time and money. Your brand helps you connect with others emotionally. Having a strong powerful brand helps people feel good when engaging with you, your team, or your product. This is what creates brand loyalty. Ivette Mayo is an award winning entrepreneur, business strategist, leadership expert and author. Visit website www.ivettemayo.com Ivette is always ready to encourage, empower and support you to be POWERFUL. Follow Ivette Mayo on LinkedIn, Facebook and Twitter. Visit www.yosoyiam.com for more information. Do you feel lost, lack focus and power, or have a sense that something is missing in your life? Maybe you want to make a bigger difference in the world, but you aren’t sure how? So many of us walk through life, feeling anxious for a deeper connection, but aren’t sure how to get there. I was once told that “The two greatest days of your life are the day you were born, and the day you find out what your purpose is”. But how do you know? For way too long, I suffered through immense confusion while trying hard to figure out my purpose. I was in a job I tolerated, working in an organization under a stifling culture of dysfunction. I prayed every day for the opportunity to do more and to do something that had a greater meaning to me. I wanted to live a life with an infectious passion and an unyielding connection to my work. It seemed like an eternity that I struggled daily to figure out my purpose, but it wasn’t until I took a step back and realized that my purpose isn’t something that I would figure out in my head. “I thought to myself, “Maybe the problem isn’t that I don’t know what my purpose is; maybe it is the way I was trying to find my purpose?” I needed a PLAN! We can’t think our way into our life’s purpose and power; we have to do our way into it. This means taking steps towards what you want, and removing those things in our lives that do not serve us. I left my successful corporate job on a mission to find my special kind of happy and it came by taking one step at a time and the creation of a PLAN. I want 2018 to be a success for you—a POWERFUL success—and we know that means you need to have a plan. You are saying to yourself “I have a plan.” My question is “Are you methodically working that plan?” The combination of data, materials, your open attitude toward learning and your diligence to follow a plan that is right for you will make this year the kind of success we know you want. So let me challenge you to be no less sincere, no less committed to the advancement of your philosophy, purpose and your PLAN. Develop the right plan for you. Some people are very detail-oriented and are able to closely follow an intricate plan. Others are less detail-orientated, which is OK, too. So which plan is the right plan? The plan that fits you. Each of us is unique and motivated by different factors and you’ve got to develop a plan that is right for you and fits you. Whatever your personality, your strengths and your weaknesses, develop the plan around them. Remember, what gets written gets done! It Takes ACTION – Lots of ACTION You can’t think your way into finding your life purpose; you have to do your way into it. Take a mental note from Nike and Just Do It. The more we act, the more we get clear on things. So instead of overthinking it —start taking steps toward your goals and start trying new things. This will help you get out of your own way. I struggled for years trying to find out what my purpose was. This cycle only created a deeper lack of clarity. It wasn’t until I started doing that things changed for me. The experience is the reward; clarity comes through the process of exploring. Action is where you get results. Establish times to spend on it. It might be every Sunday night or Monday morning. Consider 30 minutes in the morning or at lunch or before bed. Maybe it can be while you are in the car listening to your CDs every Monday, Wednesday and Friday. Whatever it is, set the times and do it. In your step-by-step plan, put down points that you can accomplish every week. They should be specific and achievable. Develop the discipline and take those steps every day, which will move you, closer to your goals. Let It Drop From Your Head to Your Heart Your heart is your best tool to access your true purpose and passion. Ask yourself what you love? Start taking steps to do what you love. When you are inspired and connected to your happy self, inspiration floods your heart and soul. When you lead from your heart, you are naturally more joyful and motivated to explore. By doing what you love, you will pursue and gain insights into what brings you the most joy. Break Up with The “ONE” Many of us struggle because we try to find that ONE thing that we are meant to do; but trying to find only one thing is the reason why we feel like something is missing. The notion that we have only one thing we are meant for limits us from fulfilling our greatness. Take me for example; I have five different job titles. I’m a coach, author, speaker, teacher, mentor, designer, and each thing I do brings me joy, but none of these are my purpose, they are my passions. So start getting in touch with your passions! When you lead a passionate life you are living your life on purpose. Let go of thinking there is only one purpose for you and embrace the idea that our purpose in life is to love life fully by putting ourselves into our life! This means we jump in and try new things; we stop resisting the unknown and we fully engage in what is happening right here, where we are. To lead a purposeful life, follow your passions. When we live a passion-filled life we are living on purpose, and that is POWERFUL! Here in southeast Texas, we experienced the fury of Hurricane Harvey when it made landfall August 25, 2017. Resulting in what’s possibly is the worst disaster Texas has ever experienced. They say the recovery will take years. Everyone in Harvey’s path felt the impact instantly in their homes, communities and at work. Small-business owners will face many challenges in rebuilding. Taking the right immediate POWER steps post any disaster can make all the difference. About a quarter of small businesses will not reopen following a major disaster, according to the Institute for Business and Home Safety. The Federal Emergency Management Agency (FEMA) said this rate could be as high as 40 percent. Entrepreneurs often overlook preparation for these rare events and focus instead on more pressing daily details, but taking POWER steps to prepare for the unthinkable can be the difference between surviving and failing. Here are POWER steps to consider now as you gear up to recoup or minimize losses to start your recovery process. This is an immediate POWER step that connects you to valuable resources. The Small Business Administration will release a list of local resource partners who can help business owners. The resources will be available here, along with information regarding the SBA disaster loan program. Contact your insurance agent as soon as you can. The Insurance Information Institute has a step-by-step guide to help you prepare for the claims process and the adjuster’s visit. Have your policy number handy when you call. It’s crucial you file an insurance claim to document that a disaster occurred. Gather and organize your business records, which will be helpful when dealing with your insurance agent or applying for disaster relief funding. If your records were destroyed, there are ways to reconstruct them. 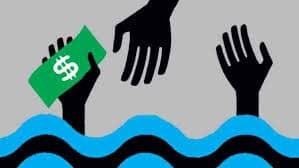 The SBA’s disaster loan program provides low-interest loans to businesses of all sizes, private nonprofit organizations, homeowners and renters. As a business, you may apply for up to $2 million in assistance, which will be made up of a business physical disaster loan that covers real estate, inventories, supplies, machinery and equipment, an economic injury disaster loan to cover working capital needs, or a combination. The SBA tries to make a decision on each application within two to three weeks. Applications are reviewed on a first-come, first-served basis, so submit yours as soon as you can. Ask for identification and do your due diligence before working with contractors, business financial lenders or anyone offering assistance. Companies issue employees official photo IDs. Remember, there are not fees/charges associated for any services provided through any disaster assistance program. Even through you have been impacted by the disaster, don’t assume your customers have been as well. Reaching out serves three purposes, one it gives you the chance to confirm your customer’s situation. Secondly, it gives you a chance to determine if you can continue to provide your products/services at the same level. And thirdly, this will gives you the chance to identify if you can offer additional value by increasing your service levels. A short email stating you are ready to serve can minimize losses. The POWER of Social Media continues to prove its strength. Reach out to your network as soon as possible to share that you are open and ready to serve makes sense. By canvassing your network, you continue to build a sense of community and it stabilizes your framework for the future. Through social media you continue to engage and build value. Remember social media increasingly play a pivotal role in disaster response, recovery and engagement. Be it a natural disaster like a tornado or hurricane, equipment failure or even the death or illness of a key business owner or employee, it’s smart to be prepared for the worst. Here are three POWER steps to prepare your small business for another disaster, an emergency situation or a major slowdown. Create an emergency fund – An emergency fund is money you’ve socked away to handle the unexpected. Instead of having to take drastic measures, such as laying off employees or paying vendors late, you can tap into these funds and replenish them when business gets back to normal. Aim to stash away at least 6 to 12 months of expenses. Open a business line of credit – Of course, not every small business — especially startups with limited operating histories — will be able to stash away 6 to 12 months of expenses. For additional access to capital, a business line of credit could come in handy while you build up your cash reserves. Make sure you’re properly insured – Small businesses can be protected from losses by the right types and amounts of insurance coverage, which can vary according to the type and size of each business. For example, if you own a building and equipment, you’re more likely to benefit from property insurance than would a business that’s run from a home office. Remember, there should be enough in coverage to replace the property owned by the business and cover the operating expenses of your business in the event you become disabled, plus cover the value of your ownership in the company. Creating POWERFUL and IMPACTFUL Results! Collaboration takes place when two individuals or a group of people work together towards achieving a common goal by sharing their ideas, resources, and skills. With increasing competition in the marketplace, it has become extremely important to encourage entrepreneurs to be open to collaborate in order to improve productivity and results. Brainstorming – Collaboration allows people to come together on a common platform and work towards the achievement of a common goal by offering various perspectives to provide solutions. Providing Value – Working towards the same goal inspires people with a strong sense of shared purpose. When everyone sees value in working together as the common goal gives them a meaningful reason to work together and to gain mutual benefits for everyone involved. Equal Involvement- Collaboration provides every person with equal opportunities to participate and communicate their ideas and gain success. Collaboration challenges people to think, articulate and receive clarity about their competencies. It serves as a mirror that gives them a glimpse of their strengths and weaknesses. Remember, two heads are always better than one. When a variety of knowledge and skills are pooled, it creates a talent pool that is vast and more competent, able and experienced. No two people are the same, and when you have several people from different backgrounds working for you, you will need to know how to leverage those differences and identify how they can complement each other. Essentially, you learn new things from each other. Cross promoting each other business, website or your social media platforms is a great way to grow everyone’s audiences. Ivette Mayo is an award winning entrepreneur, business strategist, leadership expert, speaker and author. 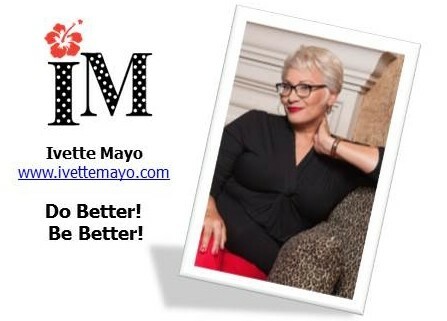 Visit website www.ivettemayo.com Ivette is always ready to encourage, empower and support you to be POWERFULLY SUCCESSFUL. Follow Ivette Mayo on LinkedIn, Facebook and Twitter. http://yosoyiam.com/wp-content/uploads/2017/03/Collabortion-PIC.jpg 360 620 Ivette Mayo ~ Your Business Success Coach http://yosoyiam.com/wp-content/uploads/2016/03/logo.png Ivette Mayo ~ Your Business Success Coach2017-03-14 02:17:292017-03-14 02:38:02Why COLLABORATION makes you POWERFUL! The time has come to become UNSTUCK. There are no more excuses. No longer do you need to delay the things you need achieve. Whether it’s in your business, work, love, spiritual growth, or any other aspect of your life— being stuck is frustrating. You are stationary, yet the world around you is moving and progressing. Being stuck is no fun and has the potential to derail you indefinitely. Knowing this, why aren’t you doing everything in your POWER to remove yourself from this nonproductive state? I know what is holding you back, you don’t know how! A good place to start is to figure out what kind of state of “stuck” you are in. It’s important to get clear on why you are distracted? Identify what emotions are moving you further away from your goals? What is really keeping you from making real progress? What turns great opportunities in a big mass of uncompleted tasks? The time to shift your thinking and move yourself to ignite the proverbial fire is at hand. Try these 5 simple steps to help you make the leap. People often feel that they need to do everything alone. But no one ever does everything alone. Oprah didn’t build her network alone and Bill Gates didn’t build his empire alone. It’s important to remember to seek support when you need it. Create an exchange with a friend, mentor or hire a coach who has some expertise in the area where you are being challenged. Connect the dots and share your challenge with them. Ask for help. Seek clarity! When you focus on what’s wrong, you are likely to continue more of the same negative thinking. Look for what you can find that is right about the situation. Does it open you up to a new network of people? Will you be able to acquire new resources or obtain a hidden lesson? When you begin to see “a gain” in the situation — you will progress. You will begin to see with the eyes an opportunity, which will allow you to see a way around obstacles. Changing your filters! As creatures of habit, there’s a tendency to run on autopilot. Stop the insanity – doing something over and over again and expecting a different outcome. If you find yourself stuck, try mixing up your existence. Break up daily activities by adding new one. Go for a walk outdoors instead of hitting the gym for a high-impact cardio workout. Sign up for a seminar. Pick up a new audiobook and listen to it while you drive home instead of listening to news. Meditate twice a day for 30 minutes instead of once a day for 10 minutes. By switching things up a bit, allows you to access different parts of your brain, which can increase your awareness and intensifies creativity. Many people sabotage their own process, consciously or unconsciously, as a result of deep-seated fears, negative thoughts and limiting beliefs. Whenever you aren’t able to achieve your goals it’s because there’s a discrepancy between what you say you want and what you’re actually experiencing. Be honest with yourself about what it is you’re trying to accomplish and ask yourself if it’s really what you want. You will be surprised with you results. There is a real connection between what you think, say, believe and outcomes. Change you words – Change your results! The choices you make every moment of every day truly do matter. When you choose to take positive progressive steps to do little things every day that are in the direction you want to go, you make progress even when essentially you don’t see any immediate gain. It is in those small things, the ones that seem so insignificant, that become compounded over time, and before you know it, you have achieved your goals. Choose small steps! Creating POWERFUL and IMPACTFUL Results is what I desire for you. Ivette Mayo is an award winning entrepreneur, business strategist, leadership expert and author. Visit her website www.ivettemayo.com Ivette is always ready to encourage, empower and support women to be POWERFUL. Follow Ivette Mayo on LinkedIn, Facebook, Instagram and Twitter. http://yosoyiam.com/wp-content/uploads/2017/01/Woman-confused.jpg 352 519 Ivette Mayo ~ Your Business Success Coach http://yosoyiam.com/wp-content/uploads/2016/03/logo.png Ivette Mayo ~ Your Business Success Coach2017-01-16 18:57:232017-01-16 19:39:12Getting UNSTUCK – It is ESSENTIAL to your success! You are sitting there with a pile of reports in front of you and you are trying to prioritize which will get your attention first. You take a deep breath and close your eyes. There comes a moment when you think to yourself “I had enough. It is time to go.” You get up and head down the hall. Then, you wipe the sweat off your brow produced from the quick walk you forced yourself to take to clear your mind. Your rational mind speaks up and shouts “You need this job. Sit down and get to work.” Many of you can relate to that moment on the ledge when you realize that you lacking the passion and motivation to continue. But you do, because there are a thousand reasons why you cannot leave – yet. Deep from your emotion storage locker, the dream of you running your own successful business venture pops back into view. Two things are apparent here; you have to stop talking to yourself and stop rejecting the possibility of pursuing your dream or purpose. Success can happen by taking some very important steps towards achieving your greatest potential – your own business. It will require that you take steps to help you in learning new skills and to gain confidence. It is about establishing the right mindset for growth. We can choose to stay or you can choose to create a plan for yourself that reinforce and motivate you to build your DREAM. It takes time and effort. Here are a few things that you can do to get closer in making your dream a reality. Words have power and intention. It is time to have some serious conversations surrounding what your dream is with others. It starts with opening you mouth to share your concept with a “trusted few”. The more you hear yourself say it out loud, the more it starts to sound real. And believe me when I say a trusted few. Trusting others with your DREAM is hard, you can ask them to sign a “non-disclosure agreement” to keep what is being share confidential, which provides you legal recourse if they do breach your confidence. Warning – Stretch means change. There are countless learning opportunities for aspiring entrepreneurs to attend outstanding business workshops and seminars. There is such a thriving environment everywhere that cultivates new businesses. Learning is taking place every day in person and online. There are no excuses in locating the right informational workshop to help you improve your skills and gain industry insight that will benefit you. Start your search now. My 25 years corporate career served me well. I was able to use these experiences as part of the foundation for my business startup, but there were things I did not know about running my business full time. I had to be willing to identify my weaknesses and admit “ I don’t know what I don’t know.” I had to place myself in a position to search for information, financial resources and tools. I turned to organizations like the University of Houston Small Business Development Center, the local Small Business Administration and other local business organizations and chambers. There is something always going on that can help small business owners succeed. If you are willing to learn, there is an expert ready to help in your local city. This is a big one – getting help! If you remember you have been talking to YOURSELF for a long time. By allowing experts to analyze your DREAM through their filters can be daunting at first, yet valuable. A coach or consultant is an important part of a small business owner’s game plan. Whether it’s to help you to manage SEO efforts, accounting, or content production, these people help ease much of the stress associated with managing these tasks. They become your cheerleader, your task master, your sounding board and your guide. In short, they are there for you — to support and push you to achieve you’re your success. And they truly have your best interest in mind. A quick note, if you choose to work with a coach or consultant, make certain they can provide you with authentic certifications, a verifiable business track record, niche, costs and referrals before you write a check. There are too many people calling themselves “coach” or “expert”. Yet, they have never run a business nor taken their products to market. This extra step will save you countless headaches later. As an entrepreneur two of your biggest resources are time and money. You cannot afford to waste either. Increasing your industry knowledge gives you a competitive advantage and assists you in the growth of your business. In addition to learning as much as possible about the history of your line of business, ensure that you update yourself on the current trends and the latest news in your industry. It will truly serve you to schedule time for industry education and research. Make this an important component of your professional growth. I know when I started my second business venture – a unique line of stationary called Yo Soy Expressions. I didn’t know anything about the stationery business outside visiting the local drug store and looking for the right card category to make my purchase. I was tasked with learning how products are manufactured and who produces them? What are the advantages of buying materials wholesale? Where are the buyers for my potential products? Who will my products best serve? How will I monetize this idea? I had to be willing to venture outside of my comfort zone to gain industry knowledge to launch my products and be competitive. “What gets written, gets done.” – It is important to remember these words. The components of a strong action plan or better yet a business plan is your roadmap to success. Remember, your idea has to move from an idea/dream to a productive revenues generating entity. It is going to take lots of action to develop each possibility. It starts with writing down ideas; create structures and outlining tactical strategies on how your business will operate to ensure your vision. Short and long action goals will serve as a benchmark of your progress. Each completed task becomes an indication that you are getting closer to your grand opening. Remember the plan will help provide a clear vision, structure and increase the probability for success. Your dream is possible. It will take sharing first. Then trusting, learning and when you are really ready, taking action. Don’t waste any more time! Ivette Mayo is an award winning entrepreneur, business strategist, leadership expert and author. Visit website www.ivettemayo.com Ivette is always ready to encourage, empower and support women to be POWERFUL. Follow Ivette Mayo on LinkedIn, Facebook and Twitter. In the past, women may have once been characterized and encouraged into certain professions, but no longer are they simply expected to do gender-specific jobs. The sky is the limit to what women can do today. I love seeing professional women taking control of their careers and future in a way that works best for them. This includes when and how they pursue their dreams and start their own businesses. Every woman has the ability to start a business that’s significant to them. We are no longer regulated to old mindsets and traditional roles. What women are passionate about has become more important. Women need to be encouraged and supported to tap into what they’re good at and what makes them feel strong and POWERFUL! And, making money at it and little fulfillment doesn’t hurt! It is important to find resources that will help you get started. As to what kind of business should you start, it’s up to you. Once you decide to head out on your entrepreneurial journey, you will have many other decisions to make that will require some research. What are you going to call your business? How do you find out of if there is another other business with your name? What does it take to operate a business like yours? Does your city, county, or state have licensing, certificate requirements or other regulation’s needed to operate your business? Is there a need for your business or are you creating a need? Who are your ideal customers and how are they going to find your business? Will they pay for your products/services? Questions like these are will have to be answered. You don’t want to be in business for a while and find out you didn’t do everything necessary such as these business startup basics. You will find you created some hurdles for yourself and now may face additional costs. If you have no savings, no money and bad credit, you should not start a business. I suggest saving up 20 to 30 percent per paycheck for a year before begin your business. These funds will be needed for startup costs, such as licenses, certificates, registrations and many other items you have not planned for yet. There are several other options to consider too, like using someone else’s money to get started – a small business loan or angel investor. Make note, all of these options require a strong business plan, not just a passionate idea. Building a business from the ground up is challenging no matter how you look at it. Ultimately, you should love what you do. Start with something you to do well and are passionate about. Then identify details about running your business and general costs. These factors will serve as a driving force in your success. You have to maximize your knowledge and skills about the product or service you can provide. Most important, not letting passion be your only fuel. Knowledge will provide sustainability. If starting a business from the ground up is not an option. You may want to consider purchasing an existing business, franchise, multi- level marketing or direct sales business. Those business types already have products and systems in place. You just need to learn those systems to be successful. 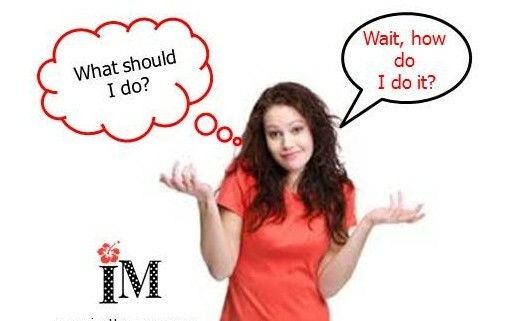 When considering investing into a MLM or direct sales business, make certain it fits your lifestyle and does not have recurring cost(s) that you cannot manage long term. Another cost effective way can be to explore your options via social media platforms. Many small business owners promote their business to their networks via on Facebook and Instagram. These options are FREE, but require lots of attention and effort on your part. This is one of the hardest things you will have to do. The secret to business success is pricing your products right. Price your products and services correctly and it will enhance how much you sell. Most importantly, it is the foundation for a prosperous business. Get your pricing strategy wrong and you may create problems that your business may never be able to overcome Today, far too many times I come across business owners that struggle with pricing their products/services correctly. Being in business to lose money is not your goal. Consider two quick exercises to help you get started. Competitive Analysis – Seek out businesses in your area (competitors) and review what they are charging for your similar products and services. Plus, what makes them unique. Costs Analysis – Determined your breakeven costs. Review those costs to produce the product or service for increases. Estimate your earnings. Based on her breakeven cost, Sara will have to charge more than $23 per cake to recover her expenses. Please note, she has not made a profit yet. Retail pricing principles recommend that you double or triple your cost. This means Sara should charge $46 or $69 per cake or reduce her cost to get started. Sara’s cake better be more than delicious at that price. Minimize spending on your supplies. Figure out where and how to buy direct from suppliers, purchase items wholesale or in bulk. Your job will be to SAVE money not just make money. You have to have a clear understanding on how your customer pays. Most people today do not carry cash on hand. Learning about POS for small businesses or online payment solutions is important. PayPal or Square are just a few options. Remember these services providers have fees attached to them. Factor those costs as part of the costs of doing business. These are people who will help you succeed, that you trust to support or lend a hand to get the business started. You will not have all the answers, the more receptive you are to learning from others, the more you and your business will grow! Especially when it comes to following the money. I know for me this was hard. I have always been challenged with trusting others and managing money. Allowing others to step into my business really at times was very emotional for me. My reality check came when I had to tell myself I am not good at everything and I had to get help. I had to let a trusted advisor in to help me be successful. Getting a trusted advisor such as an accountant helped me monitor expenses, pay taxes and stay on top of all those accounting functions that are critical to your business. You have to follow the money! If you are currently in business, I am hopeful the information provided can serve as a quick reminder of what you should be doing. Especially when it comes to pricing and check in on the competition. For the aspiring entrepreneur, it is time to JUMP and take that leap of faith – Believe in yourself and your purpose. Most importantly, learn to be financial competent when it comes to your money. You future business depends on it. Ivette is always ready to encourage, empower and support women to be POWERFUL. Follow Ivette Mayo on LinkedIn, Facebook and Twitter.